The mention of South Pacific islands usually evokes visions of warm seas, palm trees swaying to a tropical trade wind breeze and hotel floor shows with bare-chested, tattooed warriors and ladies in grass skirts. But you won’t find any of this in New Zealand’s South Island. 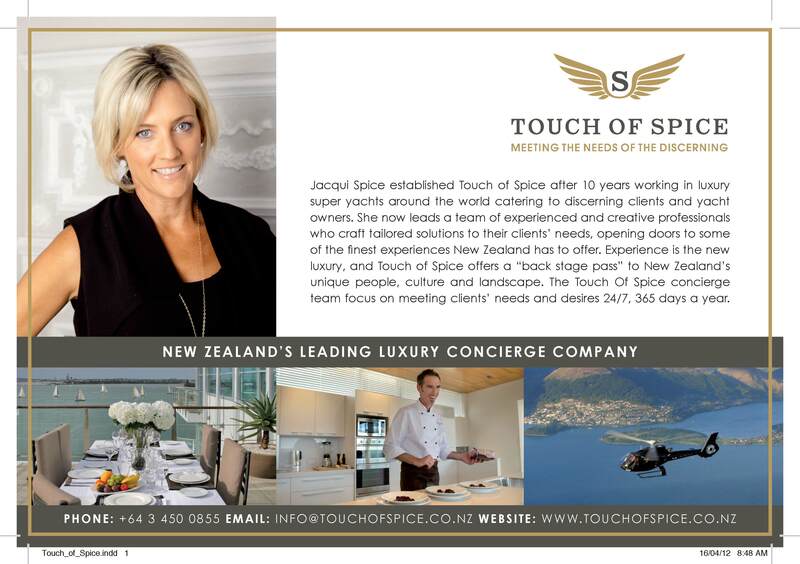 Visiting New Zealand’s South Island aboard a superyacht provides opportunities for cruising among spectacular scenery in remote areas as well as the opportunity to berth in one of the island’s secure ports and jump off the yacht for some adventure ashore. The South Island’s climate encompasses all extremes of weather and conditions, with Nelson boasting the most hours of sunshine annually while the country’s premier ski resorts of Queenstown and Wanaka have ski seasons running from late June through to September. The summer months from November through to March are the time to enjoy cruising around the South Island of New Zealand. The most popular and easily accessible area is along the north coast of the island, an area of sea-drowned valleys that form the Marlborough Sounds stretching from Tasman Bay in the west to Cloudy Bay in the south-east. The Sounds is an extensive region of inlets and bays among forest and national parks, much of which is inaccessible by road. The Marlborough Sounds are actually made up of two main waterways: Queen Charlotte Sound to the east and Pelorus Sound to the west. 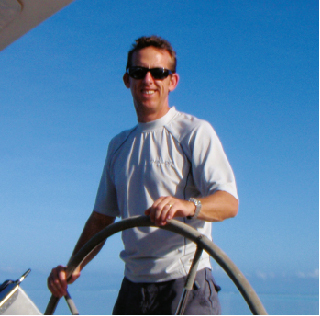 It would be possible to lose a couple of weeks cruising the Sounds without anchoring in the same bay twice. In the summer months the Sounds are abuzz with small cruising boats, sea taxis and kayaks on the water (apparently there are 6000 in the region), coming and going from the many summer houses or bachs on the shores. Countless tracks for hikers and mountain bikers thread through the forests and parks with campsites, homestays and lodges conveniently placed along the routes. At the base of Queen Charlotte Sound the small town of Picton is the destination for the Interislander ferry from Wellington and thus the gateway for car and foot passengers from the North Island. Picton has a marina for both commercial fishing and leisure craft and can take yachts in excess of 40 metres. On the western fringes of Marlborough Sounds is Nelson, the main port in the region. Nelson’s eight kilometre harbour wall, a natural formation and the longest boulder bank in the world, protects the town and port from the often tempestuous conditions of the Cook Strait. Nelson can accommodate even the largest superyacht in its extensive port network and offers facilities for repair and refit as well as secure mooring. To the west of the Sounds are Tasman Bay and Golden Bay. With a combined span of around 20 NM the bays stretch up to the northwestern tip of the South Island. The shores of Tasman Bay are in places long sandy beaches and offer many anchorages. Tasman Bay incorporates the Abel Tasman National Park which also has bays that can be used as sheltered anchorages allowing further exploration of the park by tender or kayak. 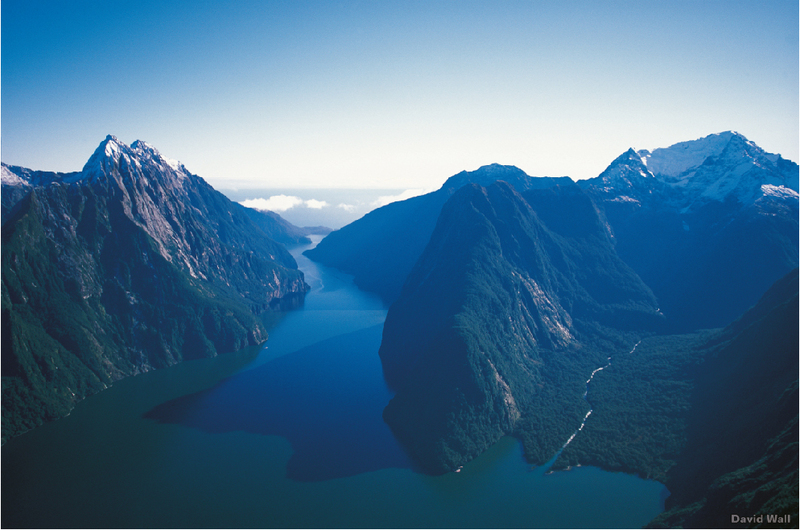 A passage around the Cape Farewell at the northwestern tip of the island and then on down the west coast for around 350 NM will bring the more adventurous yachtsman to Milford Sound and Doubtful Sound in the Fiordland region. Fiordland, carved up by the action of glaciers in the ice age, was listed as a UNESCO World Heritage site in 1990 and has some of the most dramatic scenery in New Zealand. Fingers of sea wind between snow-capped peaks and thick forests of ancient trees. Local pilotage rules dictate that all vessels require a pilot to cruise the area but pressure is on local authorities for more leniency so this may well change in the near future. The area offers great opportunities for walking trips, exploring by kayak and diving. Continuing anti-clockwise around the coast, refuge can be had at anchor in bays around Stewart Island off the south coast. In practice this is probably only for the more self-sufficient adventurer with time on their hands as severe weather conditions can restrict progress in this region. On the mainland, opposite Stewart Island, Bluff offers protected berthing at the deep-water commercial port. Continuing around and northwards, the east coast has sheltered ports at Dunedin, Akaroa and Lyttleton. Akaroa and Lyttleton both give easy access to Christchurch and the Canterbury region. The east coast between Akaroa and the north of the island offer plenty of opportunities for whale watching, and if close enough to the coast seals can usually be seen basking on rocks. As a refit destination, Nelson should definitely be considered by those seeking to do a low overhead or self managed refit project. The infrastructure around the port of Nelson lends itself to superyachts needing structural work, machinery refurbishment or interior work with all sub contractors conveniently located within a short distance of where the yachts berth. The small number of superyachts visiting the area for refit work means that local companies can easily accommodate visiting yachts’ work requirements alongside their regular work on the local fishing and commercial shipping fleet. The port has the largest slipway in New Zealand as well as travel lift for smaller craft. For those requiring assistance with the management of their refit, Refit Nelson, set up by long time superyacht captain Rocka Romke of Nelson Yacht Services, acts as a consortium of local companies capable and keen to work on superyachts. They can offer project managers, naval architects, boat builders, electricians, electronics technicians, systems engineers, upholsterers, painters, sailmakers, riggers and cabinet makers and will work together as a team to complete the job. Leaving the yacht in a secure marina and taking advantage of the diverse range of activities ashore is a major reason for visiting the South Island. For those looking for a relaxing time, a tour through the vineyards and wineries of the Marlborough region should definitely be considered. The Marlborough area is the country’s most famous wine region and produces a range of sauvignon blanc that is considered by many European wine critics to be the best in the world. While around the Nelson and Golden Bay area it would also be worth stopping in at some of the small art galleries and craft shops to look at the work of the many local artists. Those seeking a more adrenalin stimulating experience should head down to Queenstown, the mecca for outdoor and extreme sports enthusiasts. 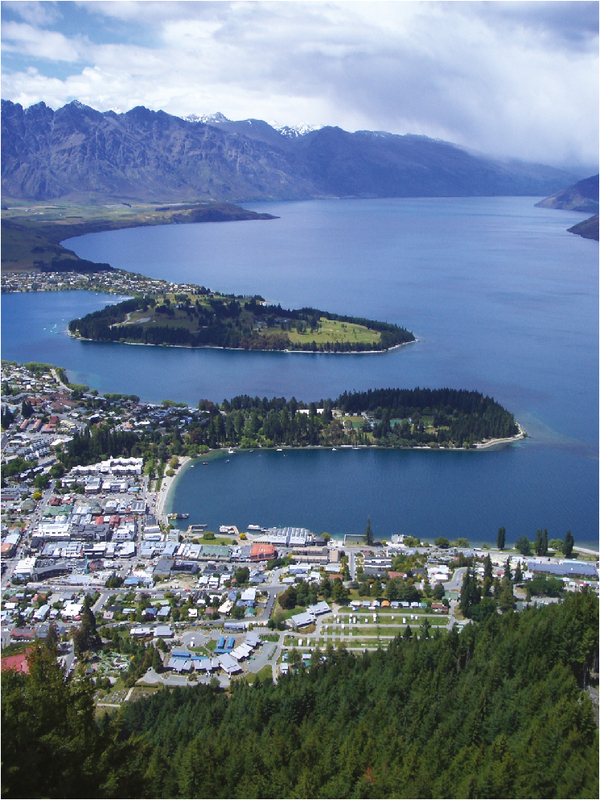 Queenstown and nearby Wanaka have world-class ski fields and infrastructure set up for skiers and snowboarders alike. 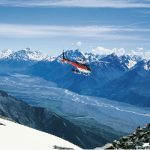 Heli-skiing with guides is also an option. The resorts offer year round activities with mountain biking and hiking popular in the summer months and para gliding, hang gliding and fishing popular year round. 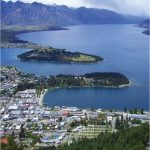 For thrill seekers Queenstown is home to a couple of bungy jumping sites in spectacular surroundings, tandem free fall parachute jumps and jet boat rides over rapids. The stunning alpine scenery enhances all of the activities adding another dimension to the enjoyment. 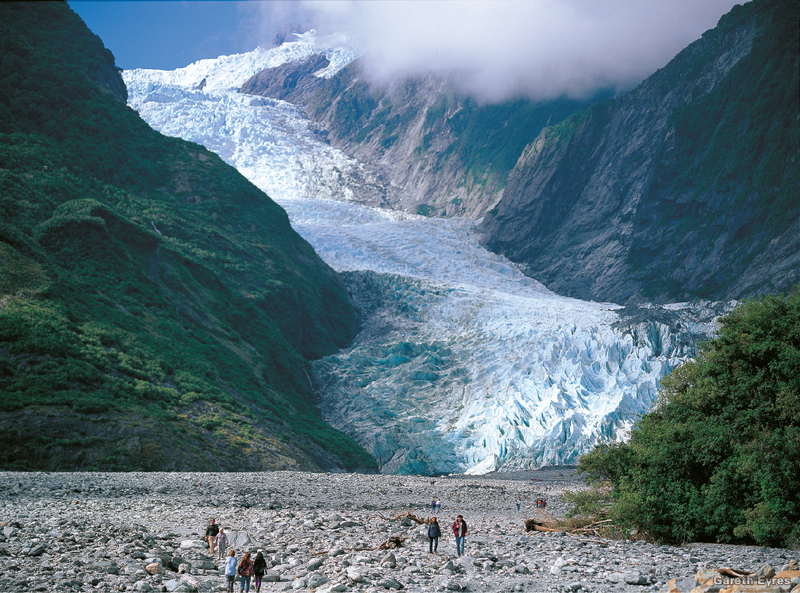 On the west coast is another amazing natural feature, the Franz Josef and Fox Glaciers. 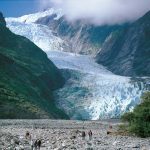 The glaciers can be explored from one of the many walking tracks in the region, by helicopter or ski plane, which will actually land on the glaciers. Wherever you travel in New Zealand’s South Island you are almost guaranteed to see spectacular scenery: from the glaciers on the west coast to the alpine region around Queenstown, the rolling plains in the north of the island to rugged fiords in the Fiordland region. 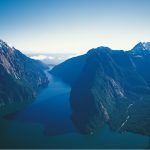 Locals have developed their businesses imaginatively around the scenery and climate to provide visitors with a huge range of activities and diversions to enjoy, so whether you are on the water or travelling ashore, you are guaranteed to be blown away by what the South Island of New Zealand has to offer.